Kolumba is an art museum by the contemporary Swiss architect Peter Zumthor. 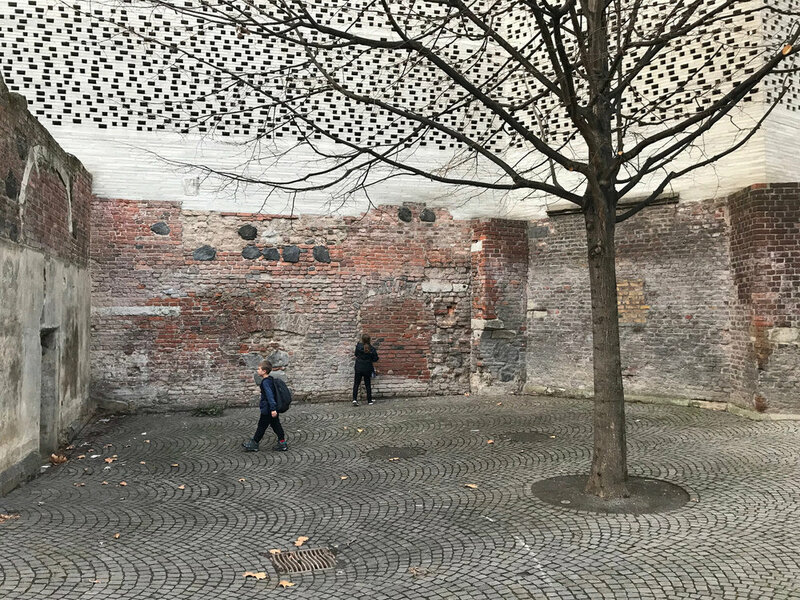 A seeming delicate perforated brick facade forms an exterior skin to the street while allowing soft dappled light to the archaeological remains of a Roman church inside. This was designed and built over a 17 year period (completed 2007). Zumthor is recognised within the profession as one of the few “starchitects”. An enigmatic, reclusive, rock-star architect who consistently builds immaculate innovative projects around the world.